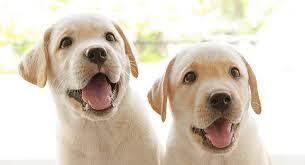 Ever wondered why a puppy’s breath could smell so good while a dog’s is generally horrid? The origin of this pleasant-smelling breath is largely unknown to puppy parents. Why Does Puppy Breath Smell Good to Some People? Dr. Catanzaro also notes that some vets believe sweet-smelling puppy breath is “the result of gas leaking into the puppy’s stomach from his developing esophagus. “How Long Does It Last? Can Puppy Breath Be Prolonged? Subsequently, with preventative care and routine maintenance, unpleasant-smelling breath doesn’t necessarily have to be the next step. It IS absolutely to prolong sweet breath but to help prevent bad odors you can be proactive with your puppy’s oral care. Dr. Catanzaro recommends using a soft toothbrush and dog toothpaste at least a couple of times a week on your growing dog. It’s important to take this activity seriously. “As bad breath is often an indicator of periodontal disease, taking the time to do regular cleaning and maintenance of your dog’s teeth may help to prolong his life,” he warns. But many of us who feed a raw diet never deal with tarter or periodontal disease. 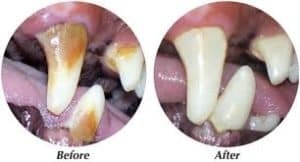 So if up until this point you have had to deal with tarter, you may want to start with a clean slate (veterinarian teeth cleaning) before starting your raw diet. This ground, meaty bone mixture will keep the teeth naturally tarter free and your wallet fuller because you won’t need veterinary care for your dog’s mouth–EVER again. And NO, KIBBLE DOES NOT PREVENT TARTER–IN FACT, IT CAUSES IT! Kibble is loaded with starches and sugar and is the major cause of tartar build-up. Feeding a fully raw diet, or at least feeding it 1/2 of the time, will allow your dog to reap the benefits– not only in his mouth but in his entire body! 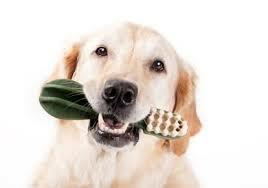 “Diet can play a significant role in the development of tartar on your pet’s teeth. Wild dogs have strong, healthy teeth partly because they eat raw meaty bones. Using dental chew toys or putting additives, daily, in your dog’s water helps tremendously, as well, with overall dental hygiene, but will not take the place of a change to raw/paleo species-appropriate diet.